Simple to start. Easy to use. 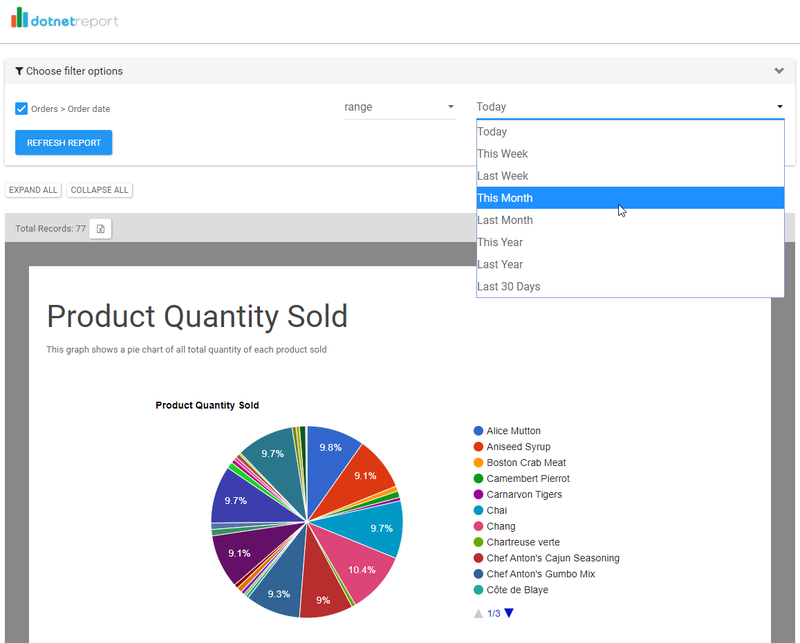 With dotnet Report Builder embedded in your application, end users will be able to easily create and run their own custom reports in an intuitive reporting front end. State-of-the-art features for developers allow you to easily create scalable applications to serve your small, medium and large customers. 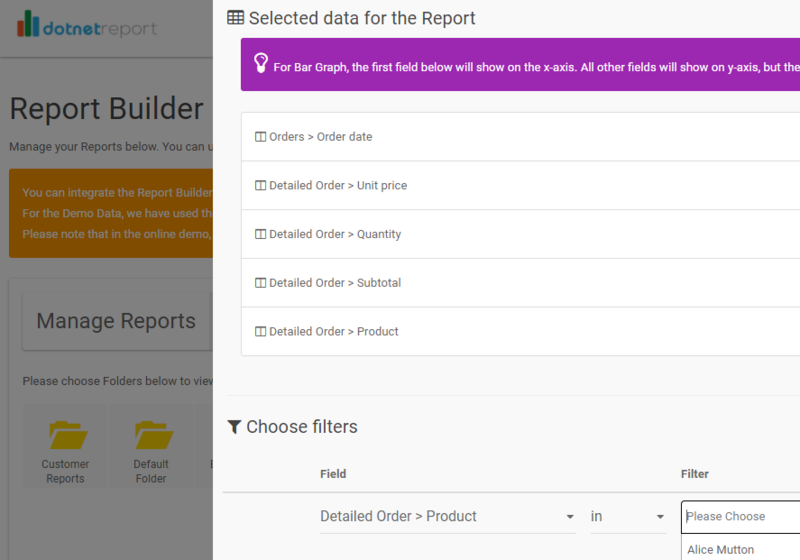 Take the Developers out of it and let your Customers create their own Reports! 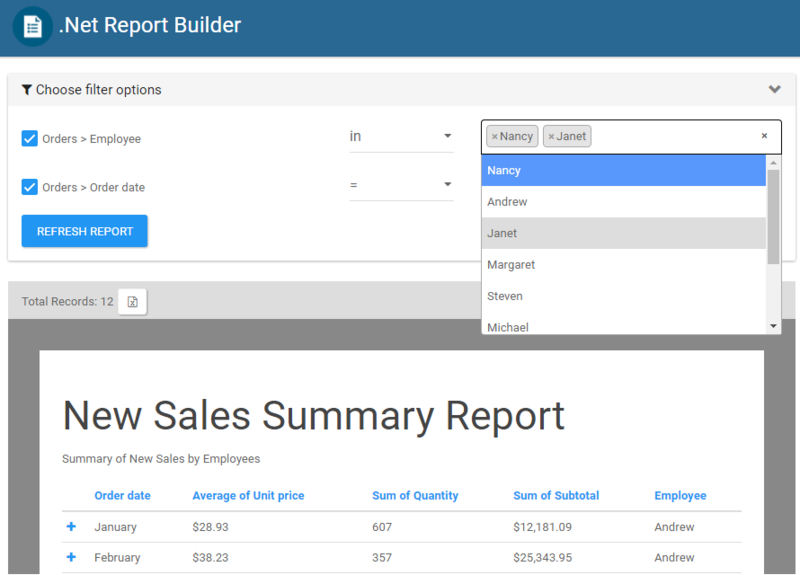 Easy and intuitive Report Builder lets your clients choose their own Fields, create their own filters and even schedule their own reports all from inside your application, freeing up your time! 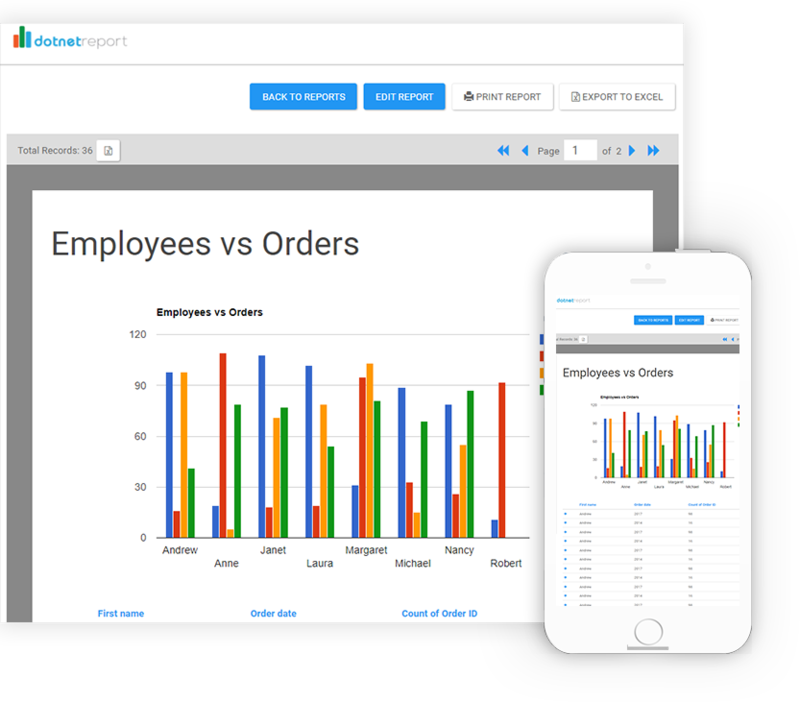 Our Solution embeds and integrates seamlessly in your application, allowing your users to have a smooth and fast experience as they quickly start building and running their own reports. 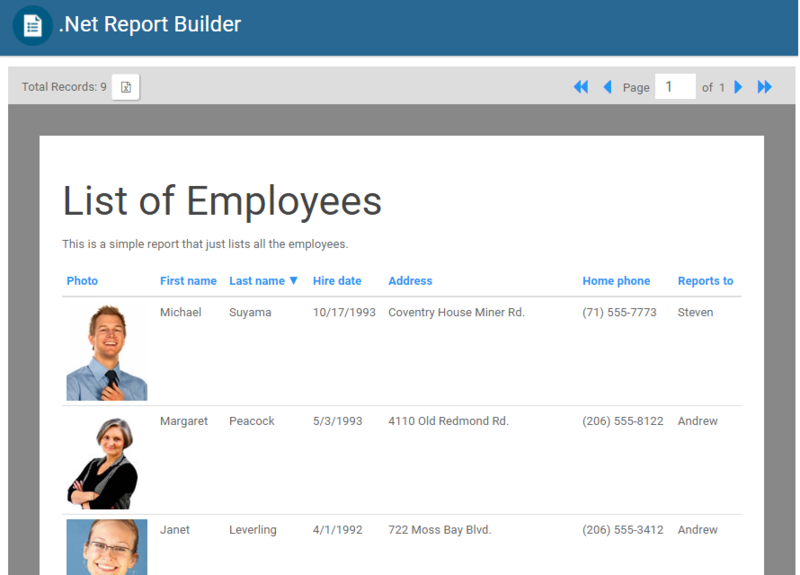 With an open source Front End, and available multi-tenant support, dotnet Report Builder allows you the ultimate flexibility as you customize the style and scale your application to meet the demands of your customers. The Report Designer code is open source under EULA, and the nuget package installs the source code in your .Net Application, so you can easily modify it. 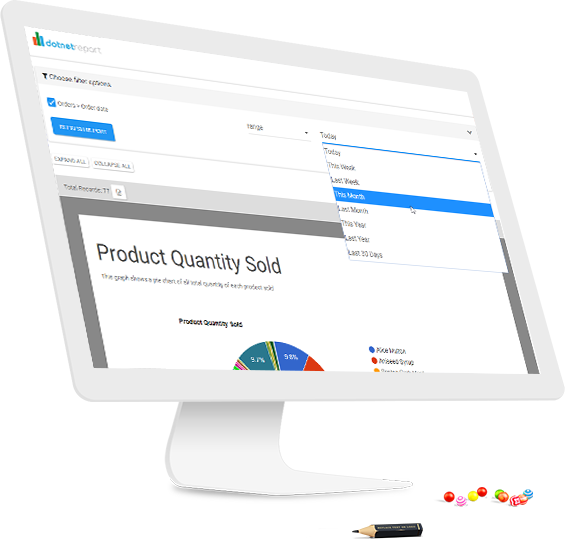 Ad Hoc Reports that your end users can easily Create, Manage and Run on their own. 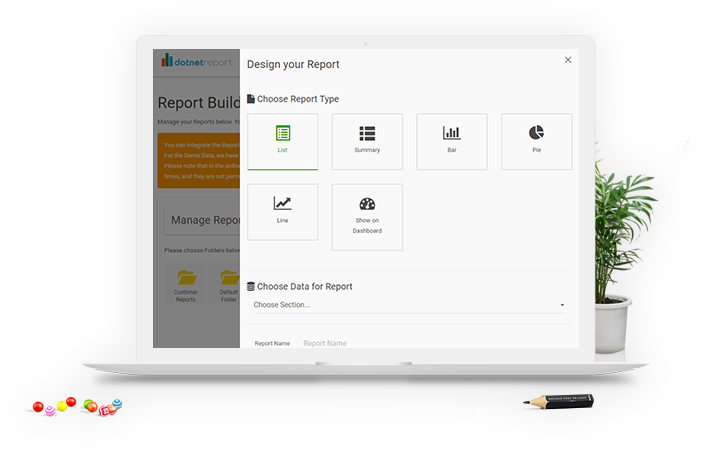 Take your developers out of it, and let your clients create their own Reports. 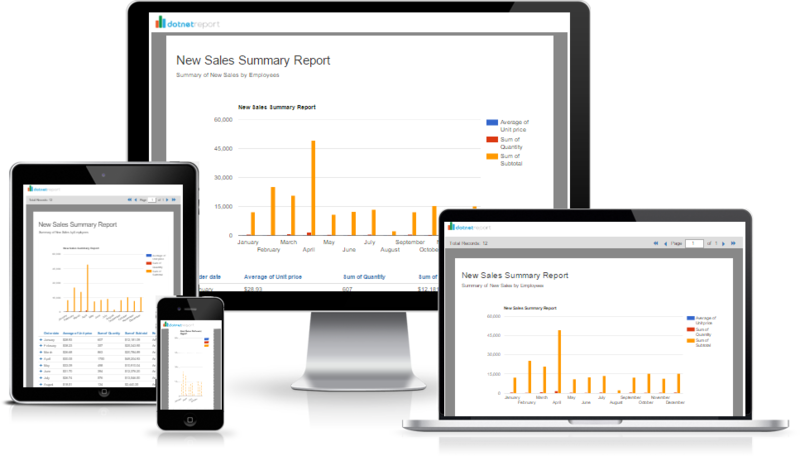 You can easily create many useful Bar, Pie or Line Charts and Graphs. 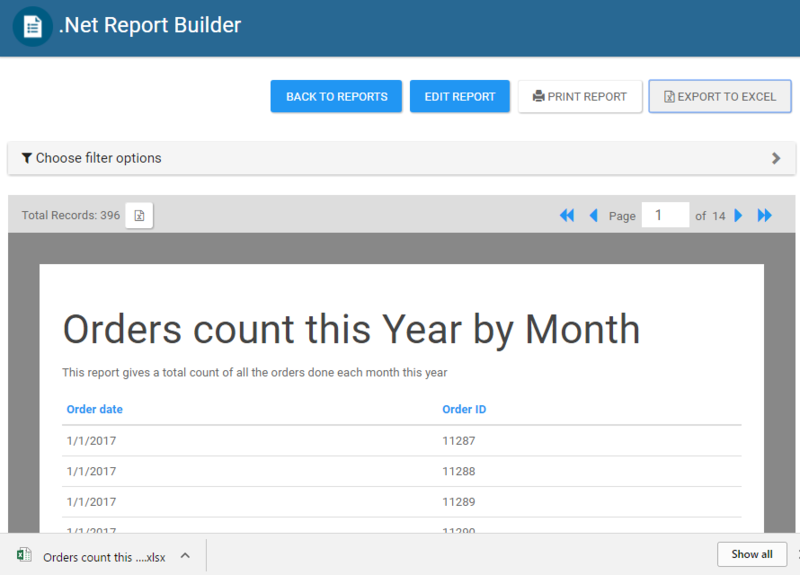 The Report Builder uses Google Charts, and you can add more in your code if you need to. dotnet Report Builder generates Stanadard SQL Select Statments, and you can use any .Net Database Provider to connect to Ms SQL, Access or MySql. 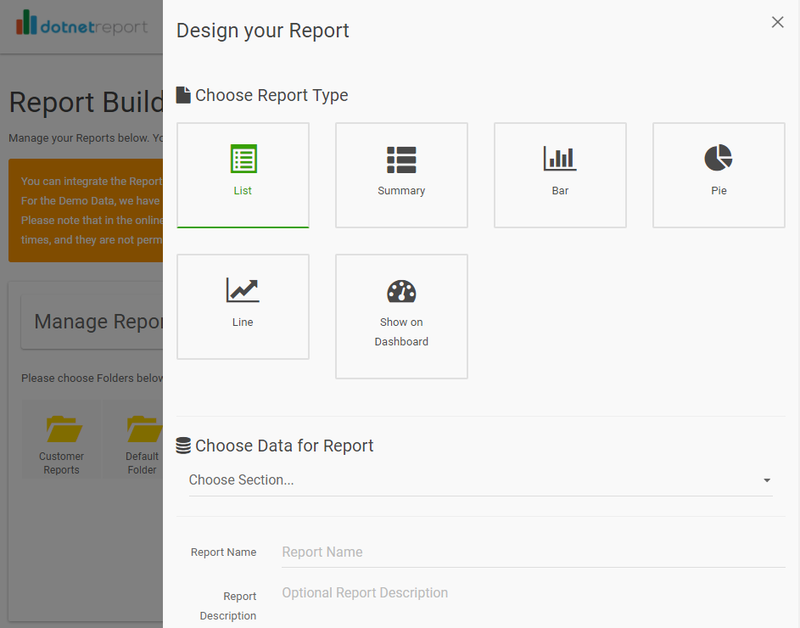 Since we started using dotnet report, not only users are happy but IT team is also more productive as they don’t have to create manual reports anymore. Dotnet report development team is also very co-operative and pays attention to any specific user demands. The team at dotnet report are really transparent, patient and very flexible. The software is embeddable and has the ability to be white labeled. Responsive design and smooth mobile experience, really helpful team and were very patient. 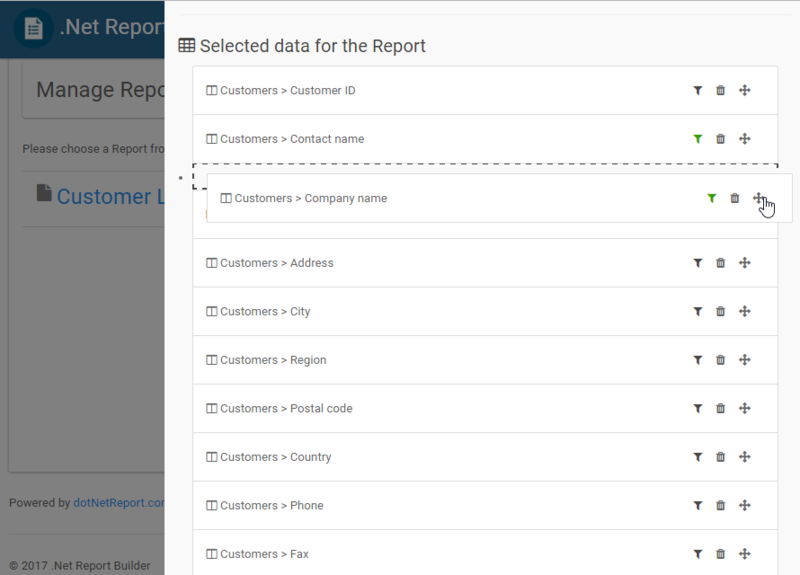 Dotnet Report is an extremely useful tool to allow your website users to quickly access their data with simple reports. 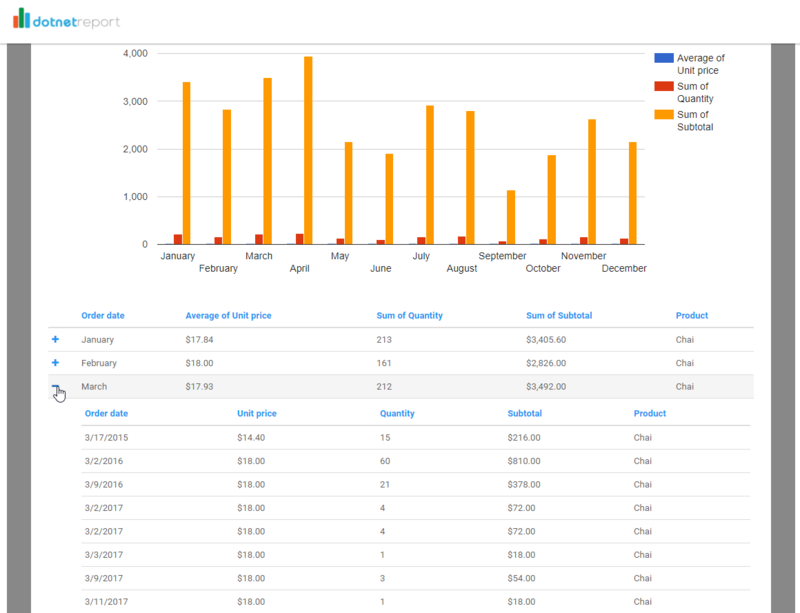 Within a few hours of development we had dotnet Report integrated into our ASP.NET MVC website.